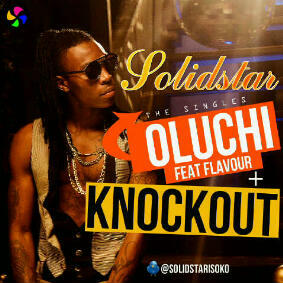 Achievas Entertainment releases two hot new singles from Afro-pop superstar Solidstar - "Knockout" and "Oluchi" featuring Flavour, after the success of his "Skibo" hit which topped charts in all radio stations, and the colorful video is still number 1 in all video chart shows. Solidstar features Flavour N'abania on a beat produced by Jay Sleek to drop another hit single "Oluchi" - Talking about his love for a girl named "Oluchi" while making you sing along and dancing too. The second single "Knockout" is a song for the clubs; It takes you to the dance floor immediately you press play.